Classic Channel-Set Princess Cut Diamond Wedding Set | Shane Co. This classic wedding setting exudes elegance and brilliance from 18 princess cut diamonds, at approximately 1.80 carats total weight. Each diamond has been hand-selected for superior sparkle and is channel-set in quality 14 karat white gold. 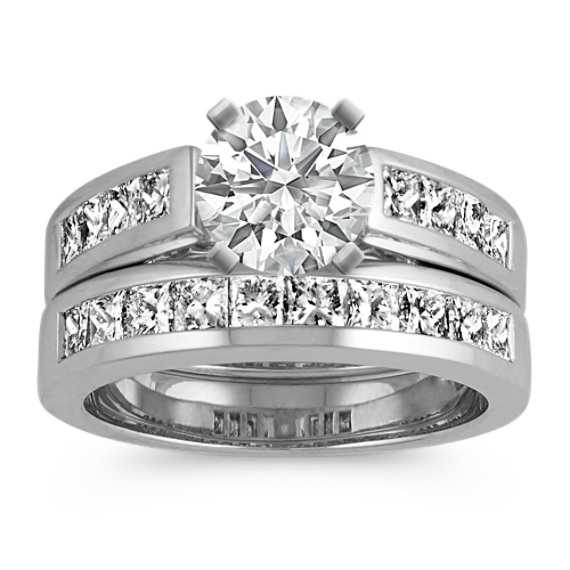 To make this wedding set your own, add the center diamond of your choice. Each ring measures 4mm wide and 8mm when worn together. Gemstone Carat Weight :1 3/4 ct. t.w.